plant based detroit. : SUPPLEMENTING FOR A PLANT BASED DIET - IS IT NECESSARY? SUPPLEMENTING FOR A PLANT BASED DIET - IS IT NECESSARY? Being plant based, I know that my diet is full of vitamins, minerals, phytonutrients, and YES, even protein! That being said, due to modern farming conditions, environmental toxins, and just for added "insurance", I do have some supplements that I add to my daily routine. While these supplements are tailored to suit my vegan lifestyle, they would be beneficial for ANY person trying to improve their health! "Probiotic" is a huge buzzword word in the health and fitness world these days. 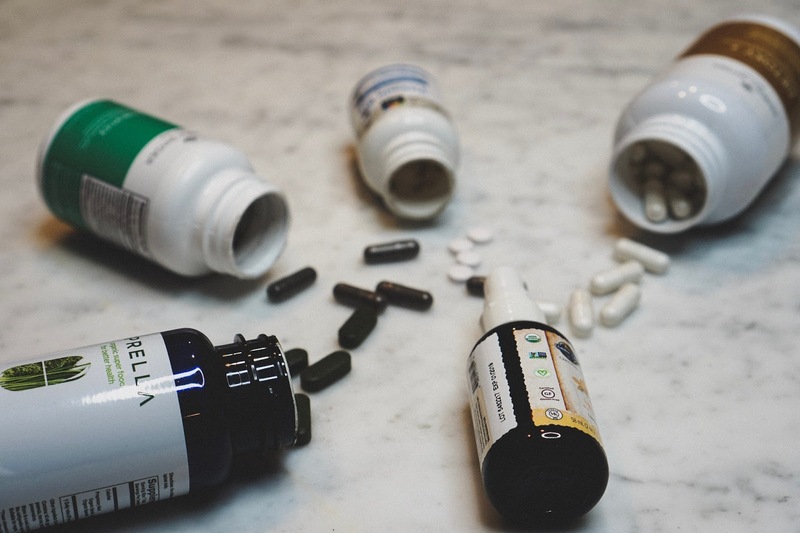 While I agree that taking a good probiotic can be great for your health, I do think the finding a quality supplement is essential. 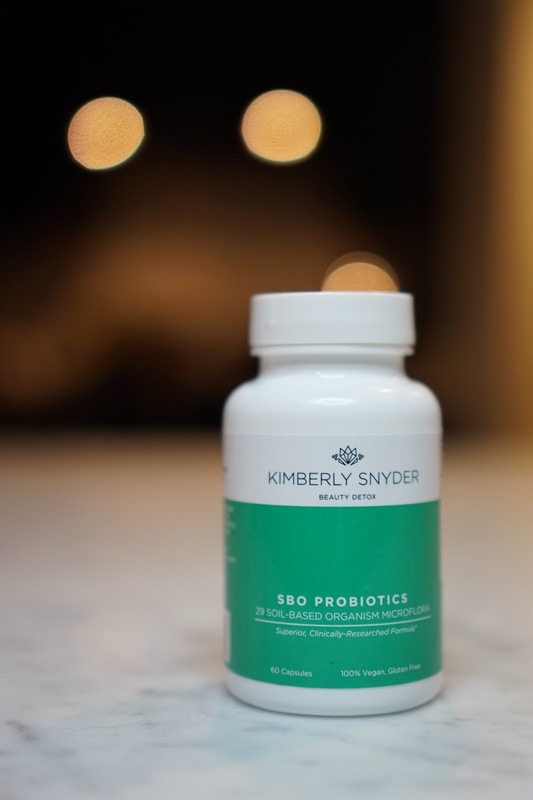 I love Kimberly Snyder's Beauty Detox Probiotics because not only are the vegan, they contain Soil Born Organisms (SBO) that mimic how our ancestors would have naturally ingested probiotics, by eating wild or unwashed organic foods. Taking a good probiotic can help not only with your digestion, but nutrient absorption and immunity. Having a healthy gut is key!!! I take two probiotic capsules, first thing in the morning with a glass of water. Special offer for Plant Based Detroit. readers! 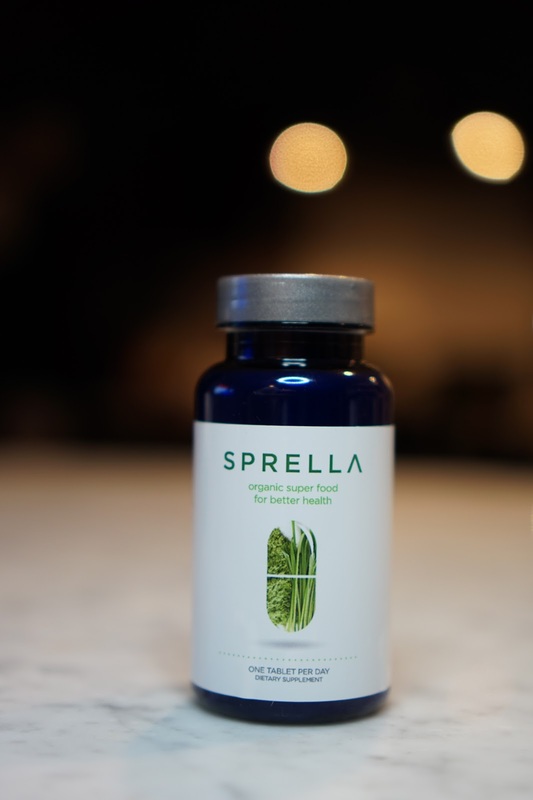 Enter the code 'plantbaseddetroit' at checkout for $10 off your first bottle of Sprella! Sprella is a mix of 3 green superfoods - organic spirulina, wheatgrass and spearmint. It's a great source of plant based protein (good for us vegans). Because it's rich in chlorophyll, it's also a great detoxifier, helping your body eliminate toxins such as heavy metals. Sprella is also an awesome source of plant based calcium, and a great source of iron, which every woman should be conscious of! I take one capsule of Sprella every morning. 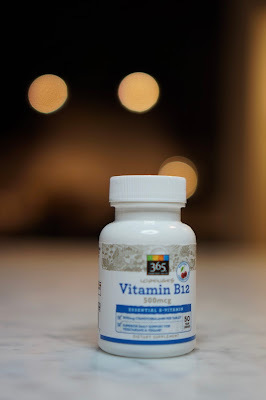 Vitamin B12 is called Cobalamin. It helps in the production of DNA as well as healthy red blood cells and is critical for proper immune function. B12 also assists in keeping nerve cells healthy and protecting against pernicious anemia. It is typically found in all animal-based foods such as dairy, eggs, meat, fish and poultry. It may also be added to packaged, fortified cereals. Being that B12 is a bit more challenging to consume in whole food forms with a plant based diet (although I do love my nutritional yeast), I take one 500 mcg sublingual tab every morning. Raw plant foods naturally contain enzymes that assist our body in digestion and nutrient absorption. Unfortunately, due to the degradation of our soil, sometimes even the highest quality produce is lacking this enzymes. The heat from cooking food also breaks down their enzymes content. 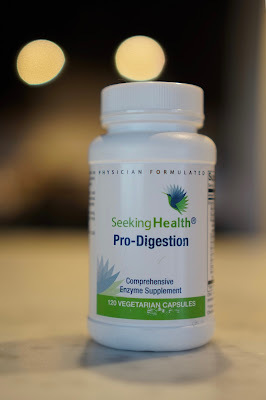 Because of this, I take two of these digestive enzyme capsules before lunch and dinner. I don't take them with breakfast because I'm always having my green smoothie, which is pre-digested by the act of blending, and contains natural, raw plant enzymes. Vitamin D can be found foods such as dairy and fish, you can even get your dose of vitamin D simply by sitting in the sun. However, living in the Northern Hemisphere, and of course, not consuming fish or dairy, I supplement. 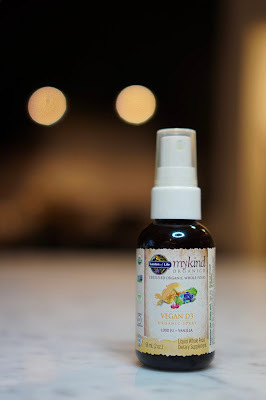 I love that mykind Organics Vegan D3 is Certified Vegan, gluten free and has NO synthetic binders or fillers. 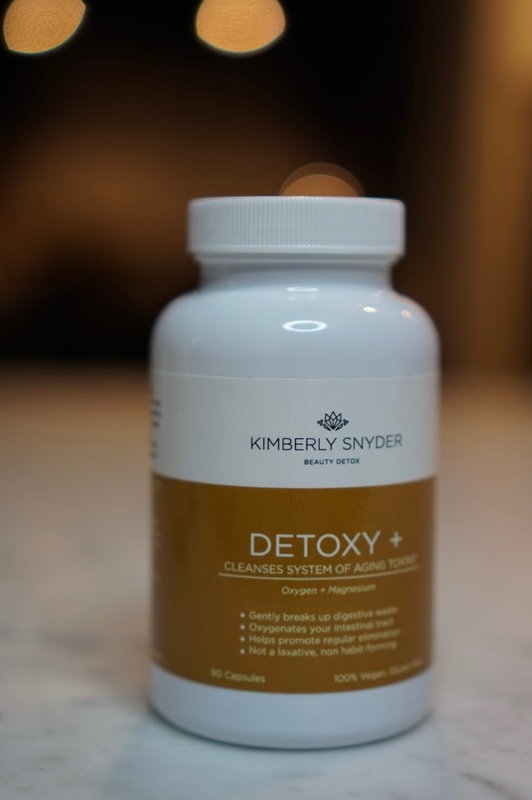 Detoxy+ is a nutritional supplement that helps cleanse your digestive and elimination organs of wastes and toxins in a gentle, yet effective way—without any of the drawbacks of typical laxatives or fiber supplements. Detoxy+ is created by adding an oxygen molecule to magnesium—through the non-toxic process called ozonation—forming a compound called magnesium oxide. When you take the capsule, it dissolves and releases monatomic, or nascent, oxygen over a six to twelve hour period or more, throughout the entire digestive system. Detoxy+ is safe for regular use and is non habit-forming. It can be helpful for anyone looking to increase their elimination and regularity, increase detoxification, reduce bloating or gas, and just feel lighter and healthier overall. I take 1 capsule before bed, for maintenance - although can take up to 5 capsules as necessary! BYE BYE CANADA GOOSE - HELLO WULLY OUTERWEAR! QUICK KALE & WHITE BEAN SOUP (VEGAN/GF/OIL FREE). DETROIT INSTITUTE OF ARTS + PIE-SCI PIZZA. A PLANT BASED PUP - IS IT PAWSIBLE? GREENSPACE CAFE 2ND ANNIVERSARY DINNER.